As of February 2019 this page is no longer updated with current workshops and events. Visit NAGT's Professional Development Events page for current Cutting Edge programming. 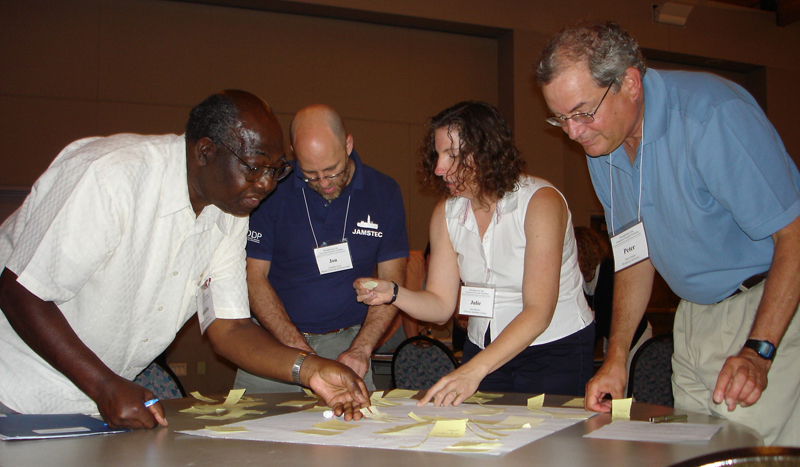 Design your own professional development opportunity at the fifth annual Earth Educators' Rendezvous in Nashville, TN. Events will include workshops, oral and poster sessions, plenary talks, and working groups. Capitalize on experience from your colleagues at a variety of workshops, present and discuss your own findings, and network with others engaged in improving undergraduate Earth education. Small group working on curriculum exercise, June 2009 Departments workshop. Photo by Carol Ormand. 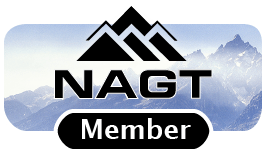 The NAGT Traveling Workshops Program brings national leaders in geoscience education to your campus or regional event to help faculty develop stronger courses or departments or a mixture of both. The annual Early Career Geoscience Faculty Workshop offers a stimulating and resource-rich environment where early career geoscience faculty members participate in sessions on topics including effective teaching strategies, course design, establishing a research program in a new setting, working with research students, balancing professional and personal responsibilities, and time-management. This workshop emphasizes understanding your current students and community, recognizing barriers to and opportunities for inclusion, developing strategies to support all students, helping them thrive in their education, and launching them onto the next phase of their life or career. The workshop offers best practices in attracting, engaging, and supporting students, and under-represented minorities (URMs) in particular, in diverse educational settings. Participants will assess where they and their programs are now, and plan actions to be implemented on immediate to longer-term timescales. At this workshop, educators from the sciences and allied fields will share their experiences teaching computation using MATLAB, with a primary focus on undergraduate courses in: Physics, Chemistry, Biology, and Geosciences. MATLAB can be applied to solving problems and developing systems involving mathematical computation, data analytics and statistics, signal and image processing, geographical mapping, and more in the scientific and engineering domains. Join in a variety of geoscience education sessions planned for the Fall 2017 AGU Meeting held in New Orleans, LA, from December 11-15, 2017. Held at the University of Maryland, College Park, with an optional visit to the National Science Foundation on Friday, July 27. Join us for a multi-day workshop in a stimulating and resource-rich environment where you will participate in sessions on topics including effective teaching strategies, course design, establishing a research program in a new setting, working with research students, balancing professional and personal responsibilities, and time management. Design your own professional development opportunity at the fourth annual Earth Educators' Rendezvous in Lawrence, KS. Events will include workshops, oral and poster sessions, plenary talks, and working groups. Capitalize on experience from your colleagues at a variety of workshops, present and discuss your own findings, and network with others engaged in improving undergraduate Earth education. University of Maryland with an optional visit to the National Science Foundation on Friday, July 14. Workshop sessions on effective teaching strategies, course design, establishing a research program, working with research students, writing strong proposals, balancing professional and personal responsibilities, and task management. University of Maryland with an optional visit to the National Science Foundation on Friday, July 29. Design your own professional development opportunity at the second annual Earth Educators' Rendezvous in Madison, WI. Events will include workshops, oral and poster sessions, plenary talks, and working groups. Capitalize on experience from your colleagues at a variety of workshops, present and discuss your own findings, and network with others engaged in improving undergraduate Earth education. This workshop is designed specifically for graduate students, post-doctoral fellows, and others who are interested in pursuing academic careers in the geosciences. Workshop leaders will provide guidance and information that will help participants to be stronger candidates for academic positions and to succeed in academic jobs. Session topics focus on becoming both a successful teacher and researcher. This workshop is designed to explore how teaching with MATLAB can enhance the student learning environment in undergraduate Earth Science and related courses. MATLAB can be applied to solving problems and developing systems involving mathematical computation, data analytics and statistics, signal and image processing, geographical mapping, and more in the scientific and engineering domains. Our understanding of how people learn and what classroom practices best support that learning has grown and solidified over the past few decades. We now have the opportunity to make changes in our own classrooms that can result in improved student learning. In this workshop, you will both learn about and be engaged in those best practices as you design (or redesign) your own course. We seek regional participants from all types of institutions of higher education in a variety of scientific disciplines that address learning about Earth, including the geological, atmospheric, and ocean sciences, environmental science, physics, biology, and chemistry. 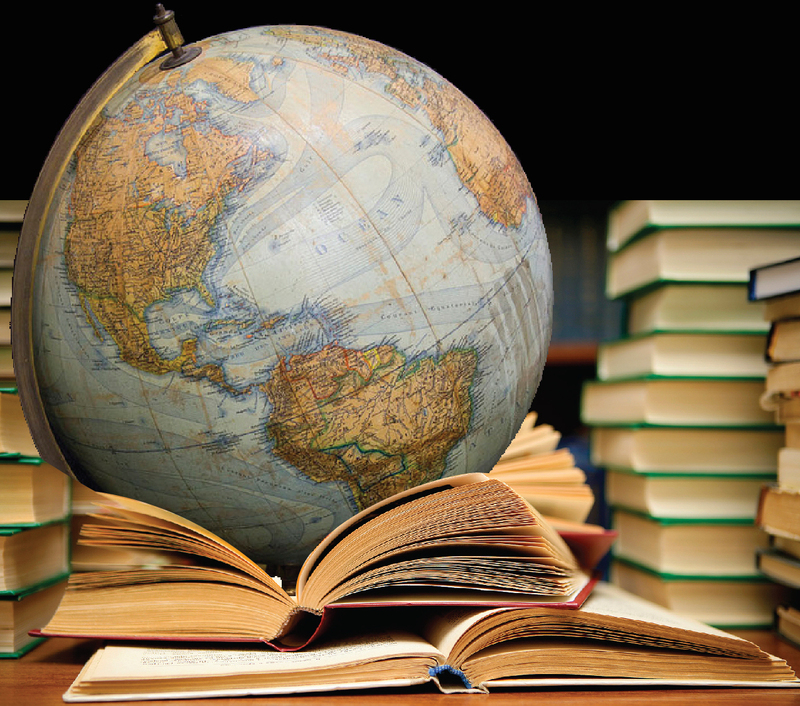 What can we do to reframe the geosciences in ways that engage students in our classes? How do we prepare these students for a future where they will confront climate change, water availability issues, resource depletion, and other grand challenges that will require a robust understanding of the intersection between the geosciences and society? One key strategy is to incorporate these issues into geoscience teaching at all levels and for all students. InTeGrate has developed a set of community-built modules that directly address Earth-related grand challenges. These modular units can be adopted wholesale or in parts, and each feature resources to develop students' abilities to address interdisciplinary problems, improve geoscientific thinking skills, make use of authentic geoscience data, and incorporate systems thinking. These materials have been developed and tested by faculty at a variety of types of institutions and come with built in assessments and resources for both instructors and students. Topics range from environmental justice and freshwater resources to climate change, mineral resources, sustainable land use, and natural hazards. In this workshop, we will explore the InTeGrate materials, discuss the underlying design rubric, and work with participants to adapt the materials to their institutional and geographic setting. This course is designed to help educators improve students' spatial reasoning. The material is a based on a decade-long collaboration between cognitive scientists, geoscience educators, and geoscience researchers through SILC (Spatial Intelligence and Learning Center). The workshop consists of mostly hands-on activities with some introductory lectures. Lectures will focus on known difficulties in student learning of spatial skills, laboratory studies designed to evaluate and improve spatial skills, and a cognitive framework for addressing spatial cognition. 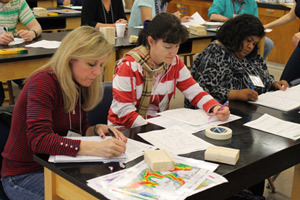 Hands-on sessions will highlight effective interventions that can be used in a geoscience classroom, including artificial intelligence–based approaches to sketching. When: Sat., 18 Oct., 1–5 p.m. This course is intended for department heads/chairs and faculty interested in curriculum development at the department level. This interactive workshop will use the "matrix method of curriculum design" to help you define student learning outcomes related to mastery of geologic concepts and content, technical skills used in the geosciences, geoscience "habits of mind," higher-order thinking skills, and other professional skills (e.g., communication, quantitative, interpersonal, information). This approach can be used as a guide for faculty to define course goals and specific student learning outcomes in individual courses. In aggregate, this method can be used to map student learning outcomes for entire degree programs to identify areas of strength in departments or to conduct a gap analysis in course offerings. The results can then be used to assess degree programs with respect to the current state of knowledge and conduct of modern geoscience, expectations for students entering the workforce, and alignment of degree programs with departmental or institutional role and scope statements. This workshop will help you explore the student learning outcomes that are most important to your degree program(s) as they apply to your students, institutional type, geographic setting, breadth of disciplines covered in your department, departmental resources, and faculty. What happens when you give your existing curricula an extreme makeover? During this half-day workshop, we'll work together to infuse existing curricula with the spirit of the Next Generation Science Standards: integrating content, scientific and design practices, and cross-cutting themes. Increase your impact by including more systems thinking, modeling, designing solutions to global challenges, and quantitative thinking in your instruction. The approach we will take is relevant to instruction from pre-college through undergraduate levels and teacher professional development. The workshop will include an introduction to the Next Generation Science Standards, an opportunity to experience teaching material examples before and after, and working in small groups to makeover one of your own lessons or units. Introductory courses in the geosciences (geology, oceanography, atmospheric science, Earth system science) play a pivotal role in undergraduate education. They serve as recruiting grounds for majors and future professionals, provide critical experiences in geoscience for pre-service teachers, and may be the only course in geoscience that future policy makers, business people, professionals, and citizens ever take. In addition, they often provide teaching experiences for graduate and undergraduate teaching and learning assistants. We need to make the most of these courses, but how? This workshop builds on a virtual workshop of the same name offered in March, 2014, and will facilitate discussion, exchange of information, and sharing of resources to get the most out of your introductory courses. Participants will perform a SWOT (Strengths, Weaknesses, Opportunities, Threats) analysis of their course(s) and select an objective to work towards. They will explore and contribute resources to a growing website. Faculty, instructors, adjunct faculty, lab coordinators, department chairs, and teams of faculty from all institution types are encouraged to apply. Geoscience has the lowest ethnic diversity in its graduating student population of any STEM discipline. This workshop will discuss three strategies departments and programs are using to recruit and retain a more diverse student population: 1) providing courses that are rich in societal context; 2) developing an inclusive culture within the department; and 3) more fully incorporating opportunities to learn about and prepare for professional careers in the geosciences. In addition to supporting participation of underrepresented minorities in the geosciences these strategies are foundational to improved learning and career preparation for all geoscience students. Admission for this event costs $25 per ticket. This workshop is sponsored by the InTeGrate STEP Center for the Geosciences, the National Association of Geoscience Teachers Professional Development Program, the SAGE 2YC project, and the AGU Education and Outreach Program. Cutting Edge is sponsoring a research project to observe geoscience teaching in classrooms across the US. This project makes use of the Reformed Teaching Observation Protocol (RTOP). You can find out more information on the website about observing a class or volunteering to have your class observed. Building off the 4 successful workshops offered at the 2011 and 2012 GSA meetings, this 2013 series will offer another set of four popular and relevant topics in undergraduate teaching: geoscientific thinking, climate, sustainability and energy. Each ½-day session will provide concrete examples and strategies you can bring to your classroom. An important strategy for improving student engagement and understanding of complex, controversial or misunderstood topics is to use active learning methods. This half-day workshop will provide opportunities to learn specific techniques for using active learning and immersing students in their learning. Participants will have hands-on time using various tactics and will emerge with a set of resources that they can apply to their own classrooms. Traveling Workshop Programs bring national leaders in geoscience education to your campus or regional event. Application deadlines: November 15, 2013 and January 15, 2014. Late applications will be accepted for as long as funding is available. 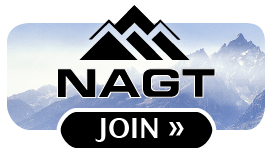 InTeGrate and NAGT are joining forces to enhance the Traveling Workshop program. As part of this process, we invite you to recommend new workshop leaders. We are looking for those who stand out as strong leaders who can help departments and programs learn from experiences across the country, apply them to their own context, and craft a plan for moving forward. Building Stronger Geoscience Courses workshops support individual participants in building their skill in designing and teaching geoscience courses. Building Stronger Geoscience Departments workshops allow the members of a geoscience department to meet together, learn from the experiences of other campuses, and address challenges facing the department as a whole. Fri., 7 Oct., 5 p.m.-8 p.m.
July 15-19, 2012 - University of Tennessee, Knoxville, with optional field trip on July 15. Three additional virtual sessions April 12, May 3, and October 25. Virtual sessions will be held from 3-6 PM Eastern Time. Monthly online seminars and book discussions. Held the second Friday of each month from November 12 through May 13 from 12 to 1 CST. Webinars limited to the first 20 applicants for each event. Book Club discussions limited to the first 10 applicants for each event. Registration deadline: 1 week prior to the event. Join us for any or all. Join one or more monthly events. Virtual sessions will be held Wednesdays at noon Central Time Zone, February 2, 9, 16, 23, March 30 and April 6. Workshop outcomes will be presented at the 2011 AGU Fall Meeting, December 12-16, 2011. Workshop begins with a hybrid online/face-to-face workshop on March 19, 2011 at NEGSA and continues with three online sessions in April, May, and September. Workshop culminates in a one-day face-to-face workshop at the GSA national meeting in Minneapolis on Saturday, October 8, 2011. Application deadline: May 7, 2010. October, 2010, in conjunction with the GSA National Meeting in Denver, CO.
Saturday, October 4, 2008, 9:00 am - 5:00 pm, in conjunction with the Geological Society of America in Houston, TX. Sunday December 14, 2008, 8:00 am - 5:00 pm in association with the American Geophysical Union Fall Meeting. Sunday December 14, 2008, in association with the American Geophysical Union Fall Meeting. Saturday, March 21, 2009; 10:00 - 4:00 in association with the Northeastern Section meeting of GSA. Application deadline: April 1, 2008. Application deadline April 1, 2008. May 12-14, 2005, Carleton College, Northfield, MN. 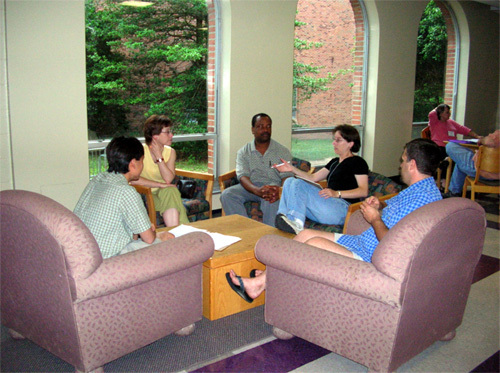 Virtual Workshop: May 23 - June 23, 2005, online. Face-to-face Workshop: June 1-5, 2005, Georgia Southern University, Statesboro, GA.
June 8-13, 2005, College of William and Mary, Williamsburg, VA.
July 6-9, 2005, University of Washington, Seattle, WA. July 21-24, 2005, Penn State University, State College, PA.
July 28 - August 1, 2002, Hamilton College, Clinton, NY. July 24 - 27, 2002, Carleton College, Northfield, MN. June 1 - 5, 2002, College of William and Mary, Williamsburg, VA.